LONDON- The head of Britain’s opposition Labour Party will try to block divorce talks with the European Union if the government does not agree to Labour’s Brexit demands, potentially leading to an early national election, a newspaper said on Saturday. 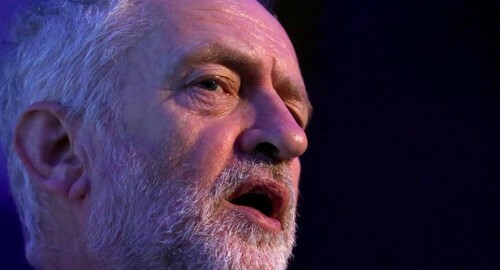 Jeremy Corbyn told the Sunday Mirror that Labour’s “Brexit bottom line” would require guarantees for access to the EU’s single market for exporters, continued protection of workers’ rights, safeguards for consumers and the environment and pledges that Britain would make up any loss of EU capital investment. England’s High Court dealt Prime Minister Theresa May a setback on Thursday when it ruled that the decision to begin formal talks about leaving the EU needed to be approved by parliament. The government has said it will appeal the decision but should it have to hold the vote, the ruling Conservative Party may struggle to get the majority it needs because some of its own members have concerns about the terms of Brexit. May told other EU leaders on Friday she believed the court ruling would be overturned and said she would stick to her timetable of starting the Brexit negotiations before the end of March. The Labour Party supported the “Remain” campaign ahead of the June 23 referendum. Separately on Saturday, another newspaper quoted May as saying there would be no going back on the government’s Brexit plan, despite the setback in the High Court and calling on pro-EU lawmakers and judges to accept the outcome of the referendum.